Mon., 16 Sep. - Wed., 16 Oct.
Wed., 18 Sep. - Sat., 26 Oct. Thu., 31 Oct. - Sun., 8 Dec.
Wed., 20 Nov. - Wed., 15 Jan. Tue., 7 Jan. - Sun., 9 Feb. Thu., 21 Nov. - Tue., 24 Dec. Thu., 24 Oct. - Sun., 24 Nov. Sun., 19 Jan. - Mon., 10 Feb. Tue., 24 Dec. - Fri., 17 Jan.
Wed., 18 Sep. - Tue., 10 Dec.
Wed., 25 Sep. - Sun., 20 Oct. Tue., 7 Jan. - Fri., 7 Feb. Sun., 22 Sep. - Sun., 8 Dec. Sat., 25 Jan. - Thu., 5 Mar. Wed., 28 Aug. - Wed., 12 Feb. Tue., 14 Jan. - Thu., 27 Feb. Sun., 13 Oct. - Wed., 13 Nov. Mon., 3 Jun. - Fri., 18 Oct. Sat., 20 Jul. - Sat., 24 Aug.
See all 590 properties in Netaji Subhash Chandra Bose Intl. 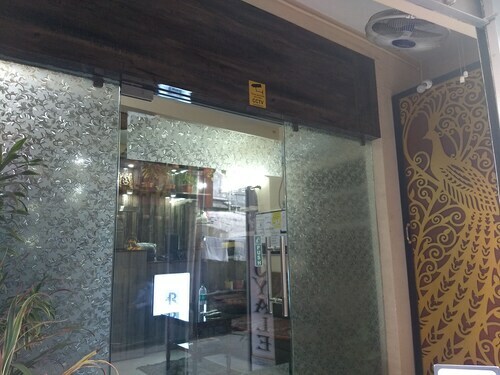 Located in Dumdum, this hotel is 11.8 mi (19 km) from Nicco Park and within 20 mi (32 km) of Alipore Zoo and Victoria Memorial. Kolkata Biman Bander Station is 8 minutes by foot and Kolkata Jessore Road Station is 18 minutes. 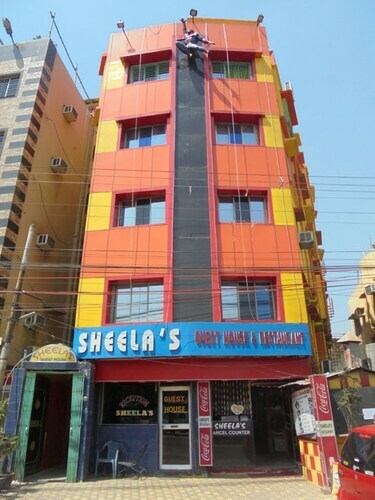 Situated in Kolkata, this hotel is 2.6 mi (4.1 km) from City Centre 2 and within 6 mi (10 km) of Mother's Wax Museum and Eco Urban Village. Dakshineswar Kali Temple and Belur Math are also within 9 mi (15 km). Kolkata Jessore Road Station is 9 minutes by foot and Kolkata Biman Bander Station is 13 minutes. 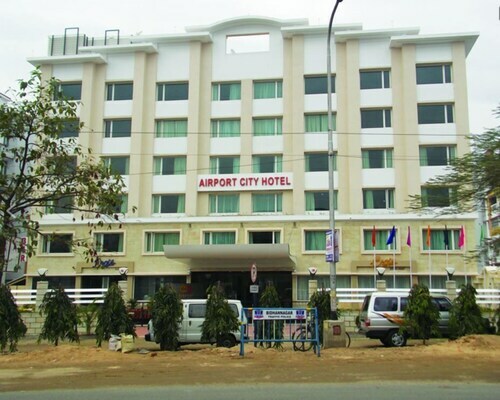 Located in Dumdum, this hotel is 3.1 mi (4.9 km) from City Centre 2 and within 9 mi (15 km) of Dakshineswar Kali Temple and Belur Math. Howrah Bridge and Mother's Wax Museum are also within 9 mi (15 km). Kolkata Biman Bander Station is 14 minutes by foot and Kolkata Jessore Road Station is 20 minutes. 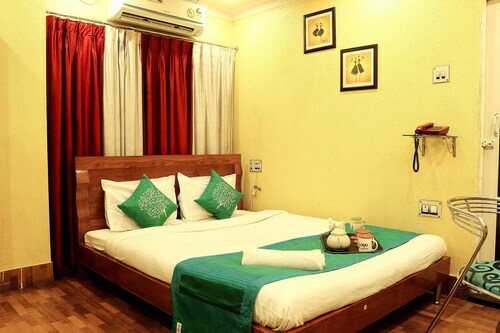 Situated in Kolkata, this guesthouse is 2.7 mi (4.3 km) from City Centre 2 and within 6 mi (10 km) of Mother's Wax Museum and Eco Urban Village. Dakshineswar Kali Temple and Belur Math are also within 9 mi (15 km). Kolkata Biman Bander Station is 11 minutes by foot and Kolkata Jessore Road Station is 11 minutes. 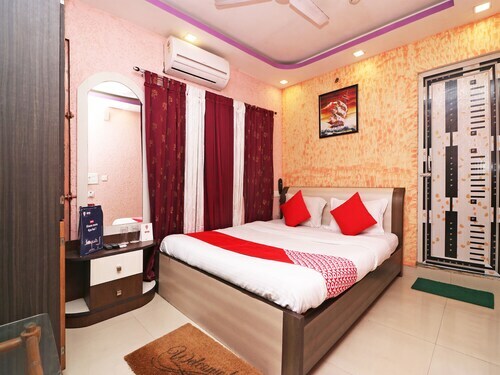 Located in Dumdum, this hotel is within 6 mi (10 km) of City Centre 2, Dakshineswar Kali Temple, and Mother's Wax Museum. Belur Math and Eco Urban Village are also within 9 mi (15 km). Kolkata Biman Bander Station is 18 minutes by foot and Kolkata Birati Station is 27 minutes. Situated in Kolkata, this hotel is 2.8 mi (4.4 km) from City Centre 2 and within 6 mi (10 km) of Mother's Wax Museum and Eco Urban Village. Dakshineswar Kali Temple and Belur Math are also within 9 mi (15 km). Kolkata Biman Bander Station is 7 minutes by foot and Kolkata Jessore Road Station is 12 minutes. Question : What is the cheapest date to fly to Kolkata? Answer : If you are wanting to save moolah, look at Apr 18th. As of Apr 15th, it's showing the cheapest ticket sales at $864. That is 58% below the average for this route, so you can spend your savings on some souvenirs. Question : How much is a plane ticket to Kolkata (CCU) from Toronto (YYZ)? Answer : Cost can range anywhere from $864 to $7,489, prices for YYZ to CCU do change much more than most routes from Canada. Prices are usually less the further out you book. Answer : Yes, you can change your departure or arrival date. If you want to save a little money in doing so, the cheapest day to fly in April is Thursday. Being flexible with your travel days can provide you extra savings when booking. Question : What is the cheapest airline flying from Toronto to Kolkata? Answer : China Eastern Airlines is your best bet for finding that sought-after low fare. They're offering fares as low as $864, while rates for other flights can cost as much as $7,489. Answer : The cheapest day to fly from Toronto to Kolkata is on Thursday. So, if you want to save some money on your next trip look for flights on Thursday. Question : How much time do people spend in Kolkata? Answer : The average time spent in Kolkata by passengers from Toronto is 28 days.